Goa and central government are together planning to build a mini convention centre near INOX, for the International Film Festival of India. Chief Minister Digambar Kamat said a mini-convention centre is being planned here which will make up for the required infrastructure for IFFI. Kamat told reporters that the Planning Commission would be approached seeking funds to set up this convention centre, which will come up next to existing Entertainment Society of Goa (ESG) building here. "This convention centre would be a smaller one with around 2,000 sitting capacity. The bigger centre can come up elsewhere," Kamat said. He recalled that in the past, the Planning Commission had agreed to fund the convention centre for Goa. Spread over 3,800 square metre, the centre will have two layer parking facility. Kamat said that Union Information and Broadcasting Secretary Raghu Menon during his Goa visit on Tuesday went through the proposed project. The Chief Minister said that I&B ministry officials have already started preparing for IFFI 2011, which is scheduled in November-December. He said there is a suggestion that the inaugural ceremony of IFFI should be shifted from Panaji to Margao city where there the spacious state-government owned `Ravindra Bhavan' auditorium is located. Kamat said the sitting capacity of this auditorium is more and hence it could be a preferred facility to hold grand inaugural for the festival. The proposal of the mini convention centre has been vemently opposed by the local residents of Campal. According to Patricia Pinto, a local activist, the convention centre would congest the Campal stretch further while parking is a big problem right now. "We will be happy if not only the convention centre, but even IFFI venue is shifted outside the city", said Pinto. Let us say anything coming from the Centre is good, since funds are allocated by the Centre. It was good to have IFFI in Goa, too, because we get to see all the big celebrities, who sometimes complain of inadequate arrangements. The only problem is the time clashes with our age-old festivals and the suffering of the people in surounding areas and visitors traversing the present venue around Campal, during that time. 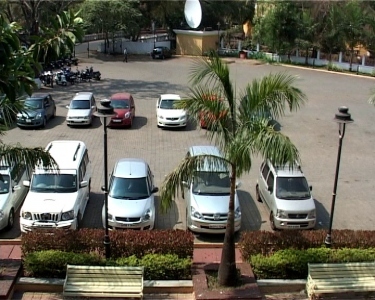 The acute parking problem leading to the Panjim market cannot be forgotten or if at all the local area agree for this grand proposal, the car owners deprived of resultant parking, would be allotted free parking inside the Centre?